Judges control virtually every aspect of judicial education in this country. While such behavior has traditionally been justified as the best if not only means to ensure judicial independence, it is not clear that self-regulation is either necessary or appropriate in matters that affect the public interest so deeply. Indeed, the current state of affairs might reasonably be described as involving a type of regulatory capture. This Essay takes a novel and provocative view of judicial education by analyzing whether the current system promotes permissible values (such as judicial independence) or institutionalizes practices that are harmful to individual judges, the judiciary as an institution and the public at large. 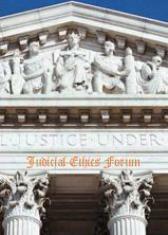 In so doing, this Essay considers a number of related issues, including judicial selection procedures, judicial impropriety and the proper role of judges in our society. S.I. Strong, Judicial Education and Regulatory Capture: Does the Current System of Educating Judges Promote a Well-Functioning Judiciary and Adequately Serve the Public Interest?, J. Dispute Resolution (forthcoming 2015).